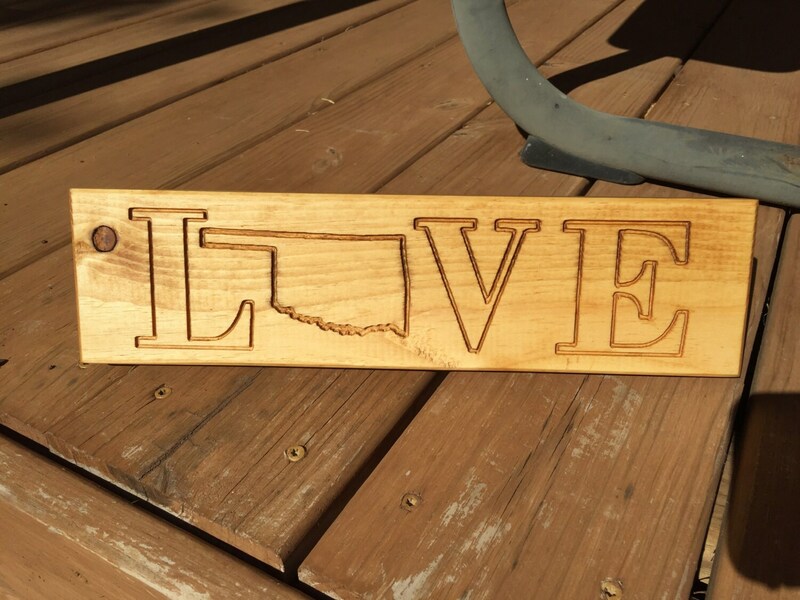 "LOVE" with the shape of Oklahoma as the "o". 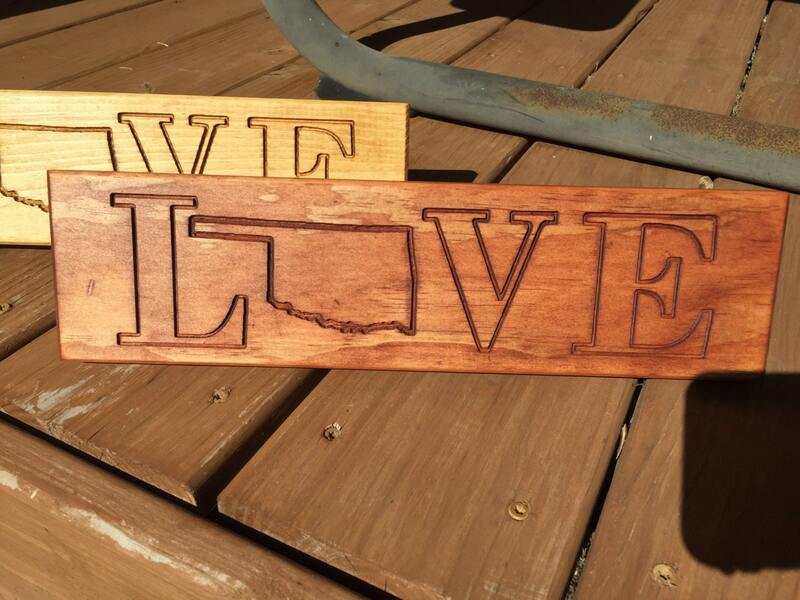 On 4" pine, stained in a choice of colors. 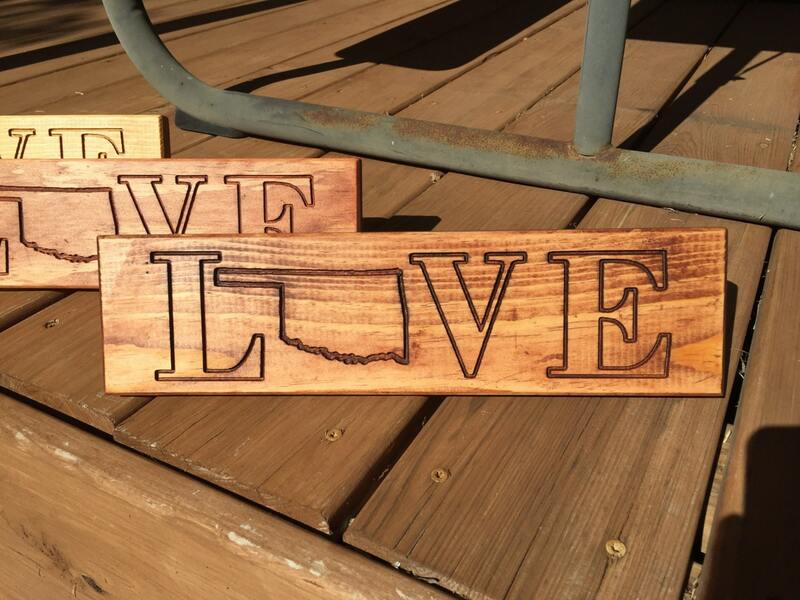 Each one has a keyhole on the back for hanging, or you can pull the dowel rod out of its slot and display on a tabletop!